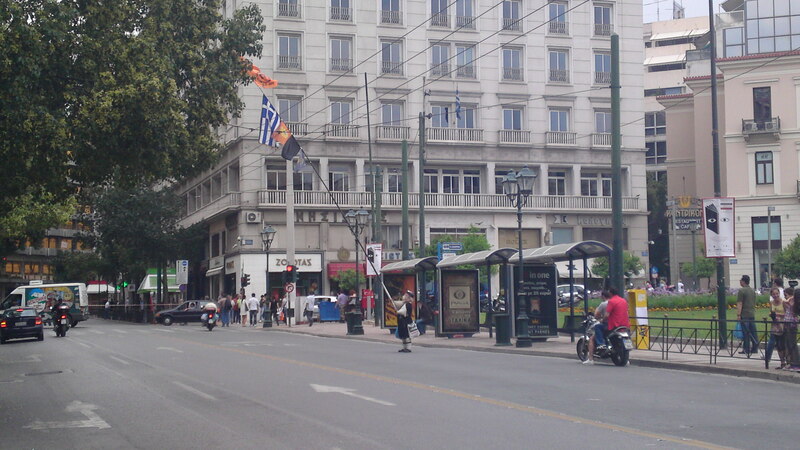 Approaching Syntagma Square a lone protester, waving a pole with various flags on it and dressed in Greek traditional costume is enjoying the unusual quiet of Stadiou street. At a closer examination: Stadiou street, the road that connects Omonia Square to Syntagma and the Parliament is cordonned off. A march by PAME (Communist Party of Greece branch) is marching to protest against the educational reforms – therefore the flag of the teachers unions – both primary and secondary. On Syntagma itself not many people yet – it is midday and the call is for 6pm- but one can see the tents, a first aid center and on the walls several messages to the Government but also to other European citizens in trouble. The presence of PAME probably discouraged and angered people but noone reacted. 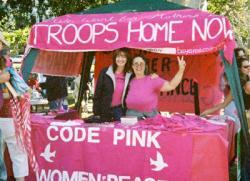 While the whole movement is non-party aligned there is a strong flirting by the left wing forces. A reborn Christian and the youth enjoying the fact that he is there. One last remark: no police presence!!! The Greek government is adopting a tolerant view of the situation hoping that it will blow off. All the photographs were taken by me so USE them if you like. Athens protests Day three and going strong! “What time is it? Time for them to go! 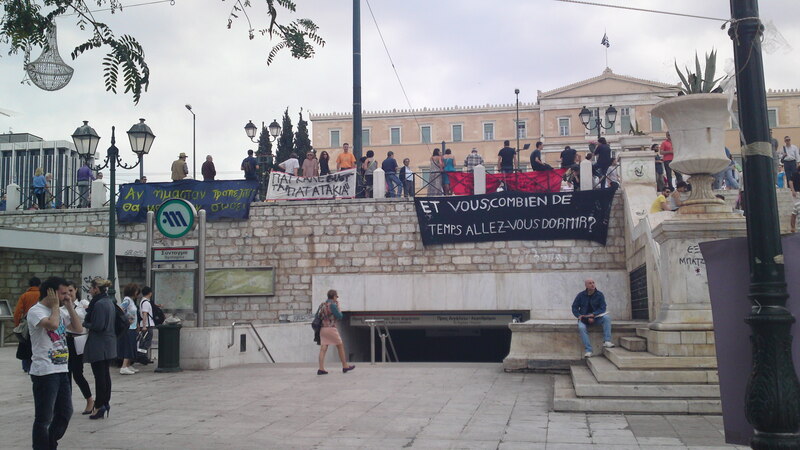 !” This is the most often repeated slogan of the Syntagma Square protesters who keep increasing in spite of the unusually rainy and chilly weather. This morning they were present at the morning show of one of the largest TV national stations. The programme invited six people from among the thousands to say why they were camping in Syntagma Square. Everyone had a different story but with a common denominator: we demand a solution because we, the working people, did not cause the problem. In the evening news we saw how the protesters are getting better organized day by day. Tents are being put up, pots and pans are brought in and the numbers rise by the minute. People from all walks of life, with their children and grandchildren, leaning on walking canes, exchanging ideas and views with total strangers, totally disregarding the risk of violent incidents, indicative of their utter despair. There is also what they call “General Assembly” where they discuss ideas for a solution to the economic problem of the country, solutions that are submitted by the people present. Is this a step forward? Can such a loose, disorganized crowd contribute to the solution? It is a difficult answer but it is definitely better than the complete inertia of the previous days. Will be reporting from there tomorrow. True to their promise to continue and despite the heavy rain thousands of Greeks gathered again at Syntagma Square in Athens, in front of the Lefkos Pyrgos monument (White Castle translated loosely) in Thessaloniki, in Patras, in Veroia, in Agrinio and other Greek cities to protest against the Greek government’s new measures: cuts in all public services. The “patriotic” climate favoured the presence of fascists waving Greek flags but they were soon isolated and asked to leave. The same happened when a protester waved a communist symbol. The decisively non-party orientation of the rallies has baffled the political parties and their members while there are individual voices on Facebook calling party members to participate on their own. 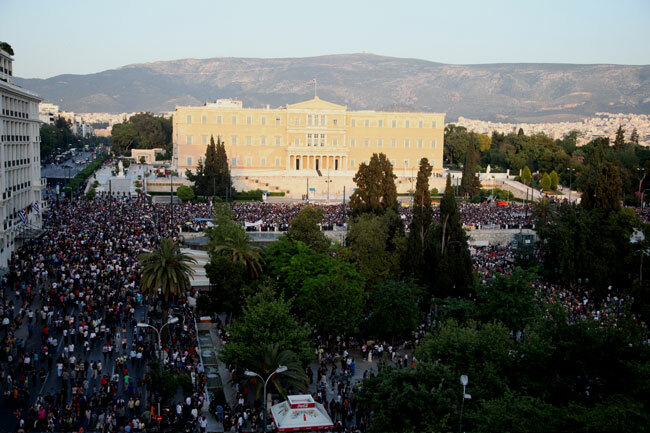 Yesterday, Wednesday, 25 May 2011, disappointed and disillusioned, the working people of Greece decided to voice their protest in a new way. Inspired by the Spanish mass rallies, a spontaneous response was organized by the Greek citizens: a protest beyond parties, unions and/or organizations. 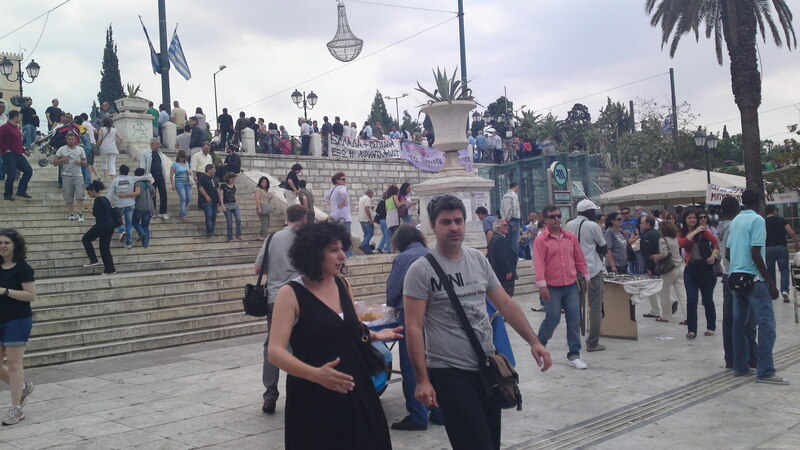 The majority of the over 20.000 people who gathered in Syntagma Square, in front of the Parliament Building in Athens alone were below thirty, many young couples with their kids, unemployed and self-employed, small shop-keepers and so on. The slogans were against the whole system with the chant of “Thieves” being repeated every now and then. 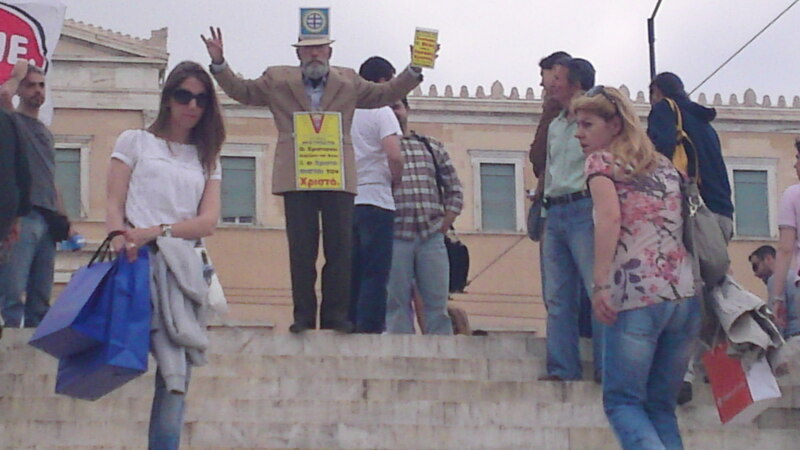 Similar protests were held in Thessaloniki, Patra, Volos and other smaller Greek cities. There is a call for a new rally today – we are waiting to see how the rainy weather will influence people’s attendance. The protesters are making jokes on the social media: “Yesterday it was the people’s rage – today it is God’s rage – we should have better coordination!” referring to a well known greek saying: People’s fury means God’s fury. For the Greek readers “οργή λαού οργή θεού”. The police presence was much more discreet than usual so there was no violence. There was no reaction from the Greek government other than an announcement by the President of the Republic that he is trying to organize a meeting of the political leadership of the country under his aegis. All the photographs are taken from Indy media Athens. Please allow me today to look at things from a progressive US citizens’angle: specifically a feminine angle. For the rest of the world, and certainly for Greece, a cut in the defense budget would go a long way towards healing the economic woes we are currently faced with. Add to that the reduction of immigrant influx from countries at war and you can see that the move proposed goes far beyond a simple Congress discussion. G.Kafkas (the name rings a bell, does it not? ), the young demonstrator who was brutally beaten by the police special forces during the peaceful demonstration of the 11th of May, has been taken out of the intensive care unit of the General Hospital of Nikea and is now treated in a normal, neurosurgical ward. His case together with the daylight murder of a father-to-be by Afghan immigrants has caused uproar in Athens. Neo-nazi and fascist groups unleashed a pogrom against immigrants in the historical center of Athens but also in areas (Kalithea, a working class neighbourhood) were such actions were unheard of. The government seems unable to do anything else but take repressive measures to no avail. Anti-racist organizations are making suggestions but are not heeded. Populist right – wing politicians nurture the people’s fear of blind violence and their despair when faced with unemployment. Everything is blamed on immigrants and the government, faced with the tremendous economic burden, remains silent and inactive since the “foreigners” or “xenoi” are an easy scapegoat and they gain time. Agrapha means the “unwritten” in Greek. According to local history the Agrapha mountains provided their inhabitants with perfect coverage from the Ottoman armies – either their difficult to cross rivers and difficult to climb ridges or their extreme poverty allowed them to remain free and never to be written in the Sultan’s books – Agrapha. The Agrapha mountains are the southern end of the Pindos mountain range and they are almost in the center of Greece. Their thick forests, steep slopes and snow covered peaks were populated by very poor farmers and better off sheep and goat herders. The river Megdovas provided them with crystal clear water and the Agrapha villages thrived in their own, isolated, quiet way. 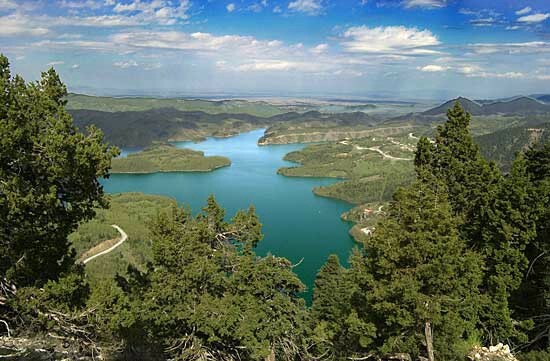 The creation of the Megdova dam and the Lake Plastiras in the late ’70s gave the area a new life. In the 90’s the villages south of the Agrapha range became very popular with local tourists, small enterprises sprang up, some selling local products to the visitors, some renting rooms, some organising outdoor activities. With the rise of environmental awareness the tourists visiting the area discovered an ecosystem in the making, migrating birds started using the lake and its environs as a stop on their trip south, a botanical garden was created exhibiting the wild flowers and herbs which are abundant in the slopes of Agrapha. Lake Plastira is not known to the foreign tourists who think of Greece is a summer destination only. I believe that a visit will help you change your mind.